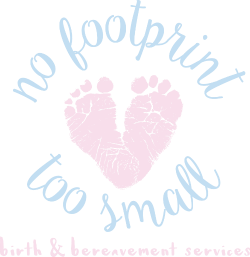 Some bereaved mothers report that they physically ache to hold their baby. 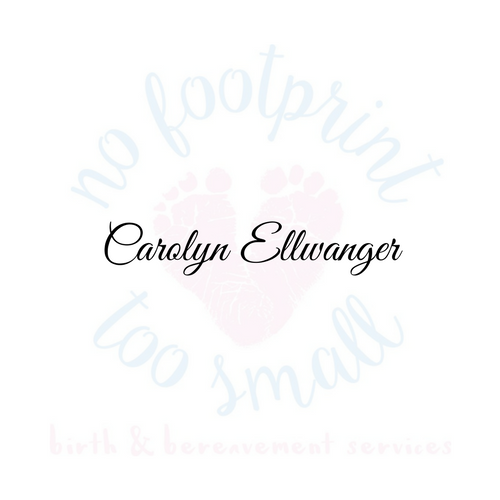 For this reason, No Footprint Too Small offers weighted memory bears to serve as therapeutic tools. 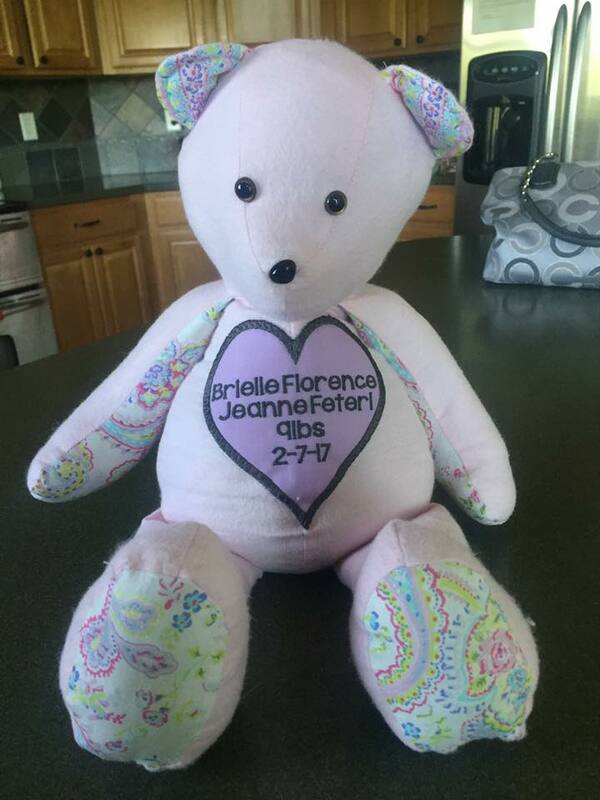 Our weighted memory bears can provide mothers not only a meaningful gift in memory of their baby, but a gift that has the potential to offer the mother comfort and healing. 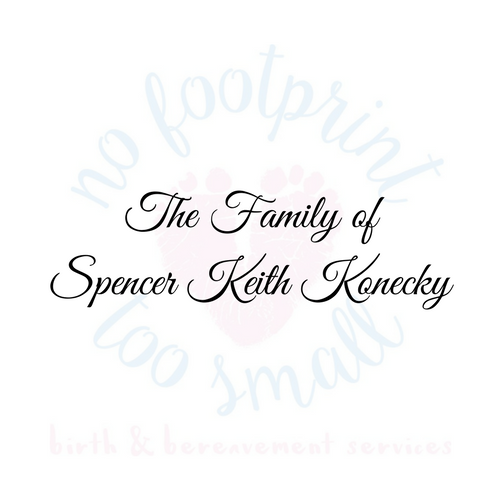 Our weighted memory bears can be made out of sentimental material such as a onesie, baby blanket, or other special material provided by the family. NFTS is also more than happy to provide the material if the requestor or recipient does not wish to provide specific material. Each bear is filled with either sand or rice to weigh the exact birth weight of the baby. 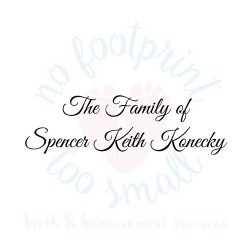 The baby's name, birth date, and birth weight is then embroidered on a heart that is sewn onto the bear's belly. 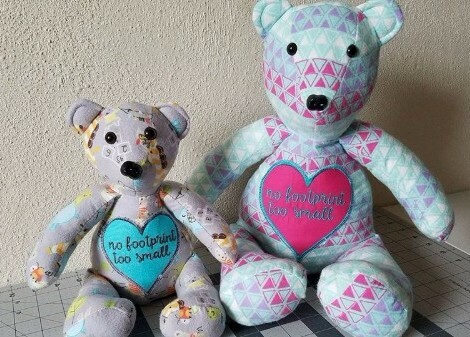 It costs No Footprint Too Small approximately $35 to make each bear, and up to $15 to ship them. 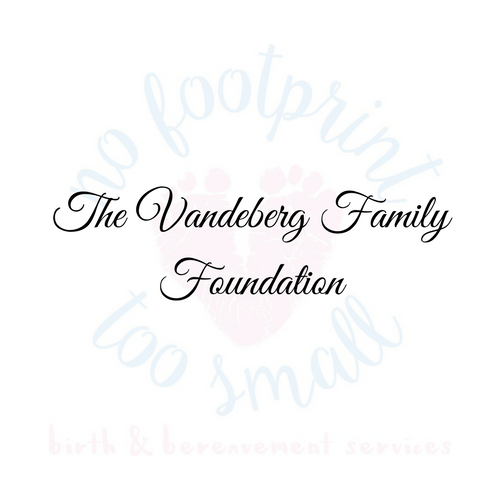 As a true, recently established non-profit, we rely heavily on the generosity of our supporters. With this in mind, only bear requests that are followed by a minimum $35 donation to help offset the costs of production and mailing can be filled at this time. Order a weighted memory bear here. "Braxton's weighted bear gives me a sense of hope on the days that feel hopeless. Honestly, without it I'm not too sure I would be in the place I'm at now. I'm not saying it's easy, I'm not saying all the pain is gone, but on the worst of days, our bear, made from Braxton's onesie, is the light at the end of a very dark tunnel." "I don't really know what to say about the bear... It is a comfort when I am really missing Brielle. When I want to dedicate time to thinking of Brielle, I usually spend that time holding the bear and thinking of her."